To extend the celebration of World Hearing Day, Hearing Health Foundation and Eargo invite supporters and fans to donate on Facebook. NEW YORK, NY, UNITED STATES, March 13, 2019 /EINPresswire.com/ -- To extend the celebration of World Hearing Day (March 3), Hearing Health Foundation (HHF) has partnered with the innovative Class I hearing aid manufacturer Eargo to raise funds for hearing loss research and awareness. 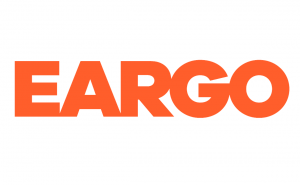 HHF is deeply grateful to Eargo for their decision to support hearing loss research and awareness. HHF kindly invites those who are able to make a contribution to ChEARs to Our Hearing on Facebook. Thank you for your consideration and support of our work. Hearing Health Foundation (HHF) exists to better the lives of people with hearing loss, tinnitus, and related conditions. HHF is the nation's largest nonprofit funder of hearing loss research and has awarded tens of millions of dollars in grants to scientists performing groundbreaking work since its establishment in 1958. Learn more at www.hhf.org3. Eargo is a direct-to-consumer health tech company that’s destigmatizing hearing loss through consumer-driven innovation. Eargo devices are available for individuals with mild to moderate hearing loss. The Eargo Max model was recognized as one of TIME’s best inventions of 2018. For more, see eargo.com2.